Abd Alla S. Thabet, a 38-year-old male, died Friday, March 1, after being shot in Paramount, according to Los Angeles County Medical Examiner-Coroner's records. 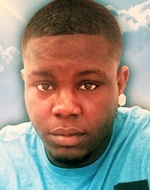 Andre Clinton Bouvay Jr., a 30-year-old black male, died Sunday, July 8, after being stabbed in Paramount, according to Los Angeles County coroner's records. Alvaro Castro, a 41-year-old Latino, was fatally shot Wednesday, May 9, in the 6500 block of San Juan Street in Paramount, according to Los Angeles County coroner’s records. Los Angeles County sheriff’s deputies were called to the bike path along the Los Angeles River around 5:15 p.m., Lt. Derrick Alfred said. Deputies found Castro, who had been shot multiple times, lying by the path near the end of San Juan Street, Alfred said. He was pronounced dead at the scene at 5:39 p.m., according to coroner’s records. Investigators think Castro was riding on the bike path when he was shot. His family lives nearby, Alfred said, and Castro had a long association with the area. Jorge Alberto Esteban, a 22-year-old Latino, died Wednesday, May 9, after he was shot in the 14700 block of Texaco Avenue in Paramount, according to Los Angeles County coroner’s records. Residents found Esteban lying on the ground with gunshot wounds in front of Salud Park around 10:30 p.m. May 8, Los Angeles County Sheriff’s Lt. Derrick Alfred said. He was taken to a hospital, where he died at 5:22 a.m. the following day, according to coroner’s records. No one saw the shooting, Alfred said, but residents heard gunfire and reported seeing a dark-colored sedan speeding away. Investigators don’t know whether the shooter was in the car or on foot and think the attack was gang-related. Esteban lived not far from where he was shot, Alfred said. Adrian Santillan, a 29-year-old Latino male, died Monday, Dec. 4, after being shot in Paramount, according to Los Angeles County coroner's records. 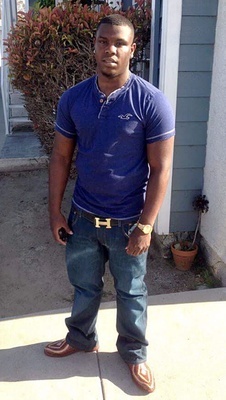 Macvell Holmes, a 26-year-old black man, was shot and killed Sunday, Nov. 5, in the 8600 block of Somerset Boulevard in Paramount, according to Los Angeles County coroner’s records. Holmes was in his car outside his apartment complex about 1:40 p.m. when he was shot by a man who drove up in a red Lexus, said Los Angeles County Sheriff’s Lt. Rodney Moore. Investigators think Sherman Darrell Myles, 29, was trying to carjack Holmes’ vehicle when the shooting occurred, Moore said. Holmes was pronounced dead at the scene at 1:46 p.m., according to coroner’s records. Holmes grew up in Compton and graduated from Leuzinger High School in Lawndale in 2009, said his cousin Jenay Stephens. He had a 5-year-old daughter and helped support his grandmother, who had raised him from birth, Stephens said. Oracio Garcia, a 29-year-old Latino, was killed Sunday, Oct. 8, after he was struck by a car in the 16600 block of Paramount Boulevard in Paramount. Garcia and a friend were at Buchones Bar at Paramount Boulevard and 70th Street around 1:30 a.m. when they got into an argument with four other men, Los Angeles County Sheriff’s Lt. Joe Mendoza said. The argument turned physical and spilled outside, Mendoza said. During the fight, one of the men got into his car and drove the wrong way on Paramount, heading north in the southbound lane, Mendoza said. The car struck Garcia, and afterward, another of the four assailants got in the vehicle. The car, a dark sedan, was last seen heading north on Paramount, Mendoza said. Garcia, a Paramount resident, was taken to a hospital, where he was pronounced dead at 2:16 a.m., according to coroner’s records. Angel Garcia, an 18-year-old Latino, died Monday, Oct. 2, after he was shot near Downey Avenue and Alondra Boulevard in Paramount, according to Los Angeles County coroner’s records. Garcia was driving north on Downey Avenue around 11 p.m. when he was shot several times by someone in a passing car, according to Los Angeles County sheriff’s Lt. Rodney Moore. Three friends in Garcia’s car were not injured in the gunfire, authorities said. After the shooting, Garcia continued driving about a block farther on Downey and then turned west on Madison Street, where he stopped in the 8400 block of the street. He was pronounced dead at the scene at 11:04 p.m., according to coroner’s records. Edgar Ernesto Luna, a 38-year-old Latino, was fatally shot Monday, June 12, in the 8800 block of Rosecrans Avenue in Paramount, according to Los Angeles County coroner’s records. Downey police responded about 8:15 p.m. to a call about shots fired in the area, according to Sgt. Maria Villegas. Officers found Luna and Oscar Octavio Nungaray, 44, dead inside a car audio store with gunshot wounds. They were pronounced dead at 8:20 p.m., according to coroner’s records. Anyone with information is asked to call Downey Police Det. Paul Hernandez at (562) 904-2368 or Kevin McCaster, the sergeant in charge of robberies and homicides, at (562) 904-2304. Those wishing to remain anonymous should call Crime Stoppers at (800) 222-8477. Oscar Nungaray, a 44-year-old Latino, was fatally shot Monday, June 12, in the 8800 block of Rosecrans Avenue in Downey, according to Los Angeles County coroner’s records. Downey police responded about 8:15 p.m. to a call about shots fired in the area, according to Sgt. Maria Villegas. Officers found Nungaray and Edgar Ernesto Luna, 38, dead inside a car audio store with gunshot wounds, said Villegas. They were pronounced dead at 8:20 p.m., according to coroner’s records. Anyone with information is asked to call the Downey Police Det. Paul Hernandez at (562) 904-2368 or Kevin McCaster, the sergeant in charge of robberies and homicides, at (562) 904-2304. Those wishing to remain anonymous should call Crime Stoppers at (800) 222-8477. Rafael Martinez Lucca, a 45-year-old Latino male, died Wednesday, April 12, after sustaining blunt force trauma in Paramount, according to Los Angeles County coroner's records. Mario Gavino Chavarria Jr., a 36-year-old Latino, was shot and killed Sunday, Nov. 20, in the 8200 block of Olanda Street in Paramount, according to Los Angeles County coroner’s records. Chavarria was standing in the driveway outside his home about 4 p.m. when two men walked up and appeared to have a brief conversation, said Los Angeles County Sheriff’s Sgt. Bill Cotter. At least one of the men pulled out a gun and began shooting, Cotter said. Chavarria was struck multiple times and collapsed. He was taken to a nearby hospital where he was pronounced dead at 4:37 p.m., according to coroner’s records. Witnesses were unable to provide any further details about the confrontation or a description of the shooters, Cotter said. Investigators believe the shooting may be gang related, he said. Oscar Arias, a 23-year-old Latino, was fatally shot on Thursday, May 26, in the 8000 block of Somerset Ranch Road in Paramount, according to Los Angeles County coroner's records. L.A. County sheriff's deputies were called to the area shortly before midnight after a passerby called 911 to report a gunshot victim. When deputies arrived they found Arias parked at the curb of the service road, which parallels the south side of the 105 Freeway, said Lt. Dave Coleman. Arias, who lived in Paramount, was in the driver's seat of the car, with a gunshot wound. He was pronounced dead at the scene at 12:17 a.m., according to coroner's records. Hector Hugo Velasquez, a 44-year-old Latino, was fatally shot Friday, May 13, in the 8200 block of Ackley Street in Paramount, according to coroner’s records. Velasquez was standing on the south side of the street, near the curb, in the residential area about 12:10 p.m. when a black vehicle drove by, said Los Angeles County Det. Dean Camarillo. The car stopped and someone inside shot at Velasquez multiple times, Camarillo said. The car then continued east on Ackley Street toward Downey Avenue. A friend drove Velasquez to Kaiser Permanente Bellflower Hospital, Camarillo said. The hospital does not have a trauma center, Camarillo said, so paramedics then took Velasquez to Long Beach Memorial Medical Center. Velasquez was pronounced dead at the Long Beach hospital 1:17 p.m. with gunshots to the chest, according to coroner's records. Alfredo Alvarado, a 45-year-old Latino male, died Monday, Nov. 16, after being shot in Paramount, according to Los Angeles County coroner's records.